The natural childbirth literature is replete with references to informed refusal. Curiously, this same literature does not explain what informed refusal involves, or the type of information a patient might require to be capable of making an informed refusal. Perhaps most importantly, natural childbirth literature counseling informed refusal neglects to mention the most important component: the risks of forgoing treatment. Consider Judith Lothian’s article Saying “No” to Induction, published in the Journal of Perinatal Education, a publication of Lamaze International. The article is anything but neutral on the issue. The underlying assumption of the article is that induction is not necessary and is done for doctor convenience. … Women are encouraged to appreciate the last days and weeks of pregnancy and to have confidence that when a woman’s body and her baby are ready, labor will begin spontaneously. This information, as well as knowledge of how induction alters the process of normal labor and birth and increases the possibility of having a near-term infant, is the foundation for informed refusal. Just as a patient needs adequate information to be able to accept proposed treatment, he or she needs information to be able to decline or refuse it. However, because the informed consent doctrine grew out of the tort of battery, it has not always been clear that a physician has an obligation to provide information in a situation where the patient is forgoing treatment. Truman v. Thomas, decided by the California Supreme Court in 1980, is often cited for the principle of “informed refusal.” Truman held that a physician who recommends a procedure—in that case, a diagnostic Pap smear test—must ensure that a patient who rejects this recommendation understands the consequences of not having the test. In other words, the foundation of the doctrine of informed refusal is an understanding of the consequences of refusing the intervention. A discussion of the possible disadvantages of the intervention is, of course, part of the process, but it doesn’t meet the basic requirement. … To make an informed decision—either informed consent or informed refusal—women need to know the value of waiting for labor to start on its own. The last days and weeks of pregnancy are vitally important for both the mother and her baby. The end of pregnancy is as miraculous as its beginning. It’s a lot easier to say “no” to induction if the mother knows the essential and amazing things that are happening to prepare her body and her baby for birth. Thinking of, and clinging to, the “due date” as “the day” makes it difficult for women to trust nature’s beautiful plan for the end of pregnancy and the start of labor. No. Nature is not a person. Nature does not have a “plan,” beautiful or otherwise, and it is quite possible for a pregnancy to “naturally” end in a dead baby. Indeed the risk of stillbirth begins to climb before the due date (40 weeks), and rises dramatically after 42 weeks. That’s a bunch of baloney. There is no evidence that pitocin is required to cross the blood brain barrier for endorphins to be produced. There is no evidence that women with higher levels of endorphins have less pain. And there is no evidence that a deficit in endorphins is what leads women to request an epidural. Lothian goes on to bemoan the potential increase morbidity of early induction (although she has not established that most inductions are done “early”). Curiously, she is entirely silent on the issue of mortality. That’s a rather strange omission considering that the primary reason for induction of labor is usually to prevent a stillbirth from postdates, pre-eclampsia, or other causes. Perhaps she left it out because it completely undermines her case. As the rate of labor induction has risen in the past two decades, the rate of late stillbirth has dropped dramatically. In other words, labor induction appears to do precisely what it is designed to do. What does Lothian have to say on the benefits of labor induction? Nature is not perfect. However, when it comes to babies and birth, unless there is a clear medical indication that induction of labor will do more good than harm, nature beats science hands down. For both mothers and babies, it is safe and wise to wait patiently until labor begins on its own. What are those clear medical indications? Lothian doesn’t say, and if you don’t specify the indications, a woman cannot give informed refusal. It is safe and wise to wait until labor begins on its own? Where’s the evidence for that claim? Lothian is vague on when induction is appropriate, but she is quite sure that it is the job of childbirth educators to encourage patients to refuse. But “saying no” is not the same thing as informed refusal. Yes, women have to right to refuse treatment, but they can only be informed if they understand the risks. 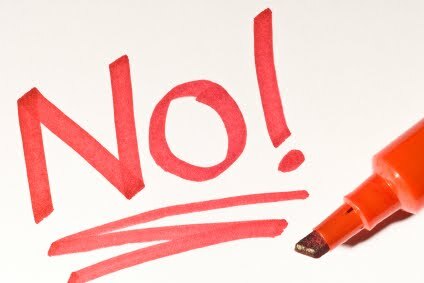 Saying no does not require courage or confidence, nor are courage and confidence remotely relevant when making medical decision. Information is what is required, and Lothian provides precious little. She leaves out the most important piece of information, the mortality rate, and she does not bother to quantify the purported risks. … [The] elements are: the diagnosis; the nature and purpose of the proposed treatment; the risks and consequences of the proposed treatment; reasonably feasible alternatives; and the prognosis if the recommended treatment is not provided. Lothian provides essentially no information on any of these critical elements. Without them, there is no such thing as informed refusal. There is only petulantly “saying no” and possibly living to regret the consequences. Sad story, but it was her decision, and it SHOULD be her decision. Genuinely curious. I’ve ways read that the infant mortality rates are generally presented as such a high number in post dates due to it being based on relativity? Also, I don’t know about all the blood/brain facts for epidural but I do know for a fact that pitocin contractions are extremely more painful than natural contractions. There is no comparison. I hope I live to see a day when instead of the “medical establishment folks” and the “natural birth advocates” being at such odds that they/we could all work together. Both sides have wonderful strengths to bring to the table. If we truly cared about the betterment of mothers and babies we’d be more interested in learning from one another than being at odds. One thing I know for sure, many many women are traumatized by what they believe went wrong during their labor/delivery. I would love to see more women empowered through this magnificent process.